Most Smartphones running on the latest operating systems have “quick response” feature, which lets users to choose from a short list of prerecorded text messages, such as “I’ll call you later” and “Can’t talk right now, what’s up?”, when a user is declining an incoming call. Apple is exploring ways to declining an incoming call in more pleasurable ways. The company is working on its digital assistant Siri to provide the callers why the call was rejected with a reason through a text message. Google has also been working to offer smart replies with text messages across many of its applications and on Android. Apple’s recently filed Patent Application, titled “Intelligent digital assistant for declining an incoming call”, describes a method for providing a digital assistant that can enable intelligent declining of an incoming call in a more informative and communicative manner. 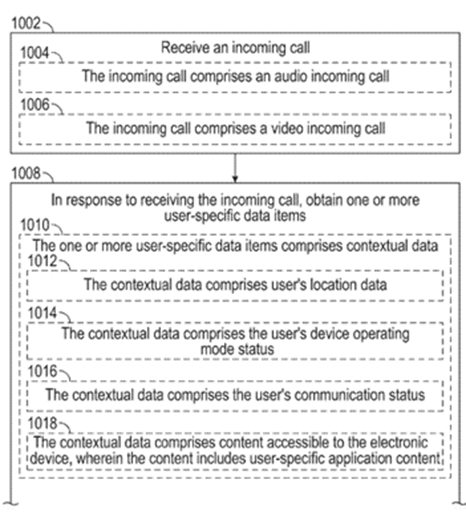 In one embodiment, Apple reveals that the caller will receive a text message, if the call has been declined by the user, which comprises contextual data such as the caller’s location, user’s mobile operating mode e.g. Do not disturb, Airplane, etc. Mobile device can send a corresponding response option that is more informative or appropriate e.g. 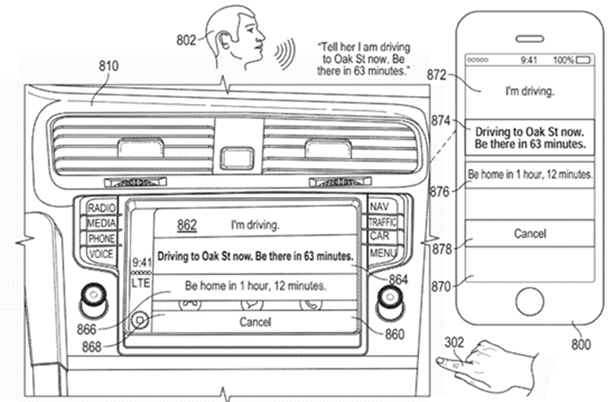 if a user is driving a vehicle to Oak St., the respond from Siri can be “I’m driving”, “Driving to Oak St now. Be there in 63 minutes” or “Be home in 1 hour, 12 minutes” according to the user’s location or relative information. Even when it is not pleasurable as speaking to the one you are calling, it definitely gives you a better idea of why the call was declined than a simple – “Can’t talk right now”. This feature might save as well as destroy several relationships, but this is just another step from Apple to make people more connected and involved.